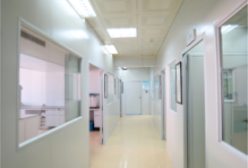 Global Security Glazing provides solutions in the area of Psychiatric and Hospital Glazing. The goal is to allow a safe environment for the patient and caregivers alike. With Global Security Glazing, our PSYCH2118 product is built to allow ample time for the caregivers to be able to safely attend to and remove patients if they are trying to escape or do harm. This product meets ASTM F1233 Class 1.4 and adheres to the overall guidelines set by the Facilities Guidelines Institute (FGI) and specifically the 2014 FGI Guidelines for Hospitals and Outpatient Facilities.